We often joke about the white marks we leave on heavy bags…because basically that “white” is our skin! 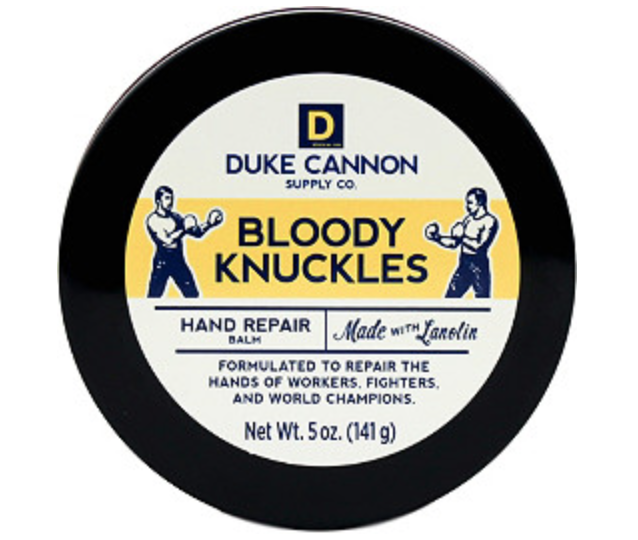 While we aren’t making ourselves bleed (it happens from time to time, but this isn’t Blood Sport!) our hands do get very dry…as do our feet. In Martial Arts, we are often in close quarters – for me that means we all need to be even more conscientious. Hygiene *should* (let’s hope) be a top priority anyway, but at the Dojo, it is especially so. Lanolin is one of those ingredients known to be ultra moisturizing, even in the tough cases – I wouldn’t use all forms of it on my face, necessarily, but for hands, elbows and feet, it’s brilliant. Water, Glycerin, Stearic Acid, Shea Butter, Emulsifying Wax, Caprylic/Capric Trigliceride, Cetyl Alcohol, Dimethicone, Tribehenin, Allantoin, Jojoba Seed Oil, Tocopherol, Lanolin, Carbomer, Ethylhexylglycerin, Phenoxyethanol, Sodium Hydroxide. Coconut Oil has definitely gotten some major praise over the last year or two, and has come to the forefront in all sorts of cosmetic products. 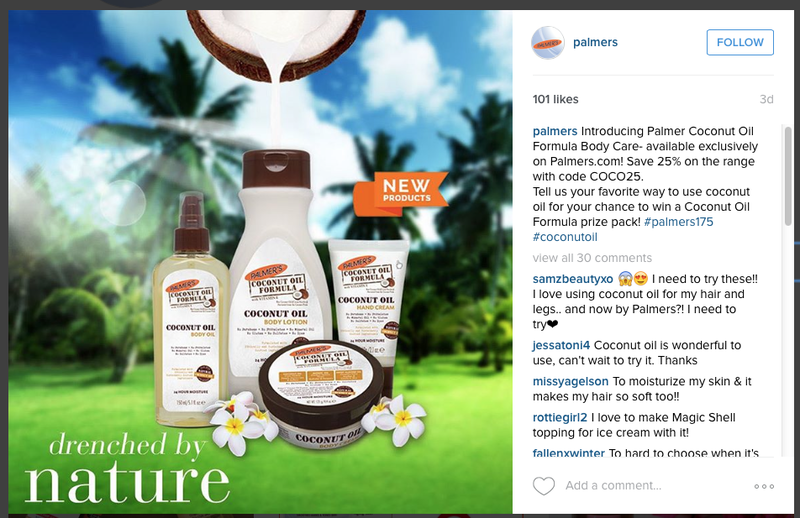 Palmer’s, who is known (I think it’s fair to say) for its Cocoa Butter formulas (I have some myself!) has recently posted some new products on its Instagram page, all made with Coconut Oil. 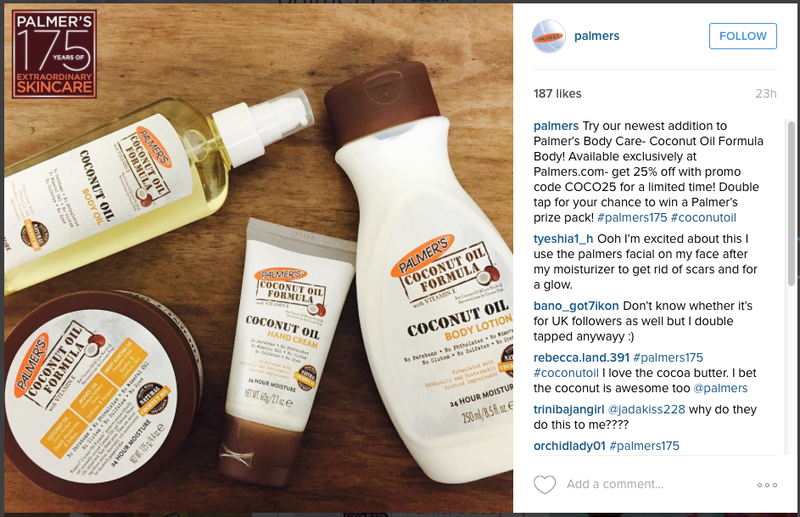 One of the things I have always liked about Palmer’s Cocoa Butter is the scent – it reminds me of baking! I’d be curious to see what these smell like – good coconut scent is delicious.